This Tri-City area practice might be the right opportunity for a someone looking to get into the market of ownership, a satellite practice, or someone looking for better work/life balance. 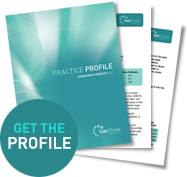 The practice has a patient base of over a thousand patients and a seller who is willing to provide a flexible transition plan to suit the new owner’s goals. This practice has a solid foundation to grow upon. The practice could benefit from the right individual to put their stamp on it to take it to the next level. The facility has room to expand to accommodate the potential, so what are you waiting for?